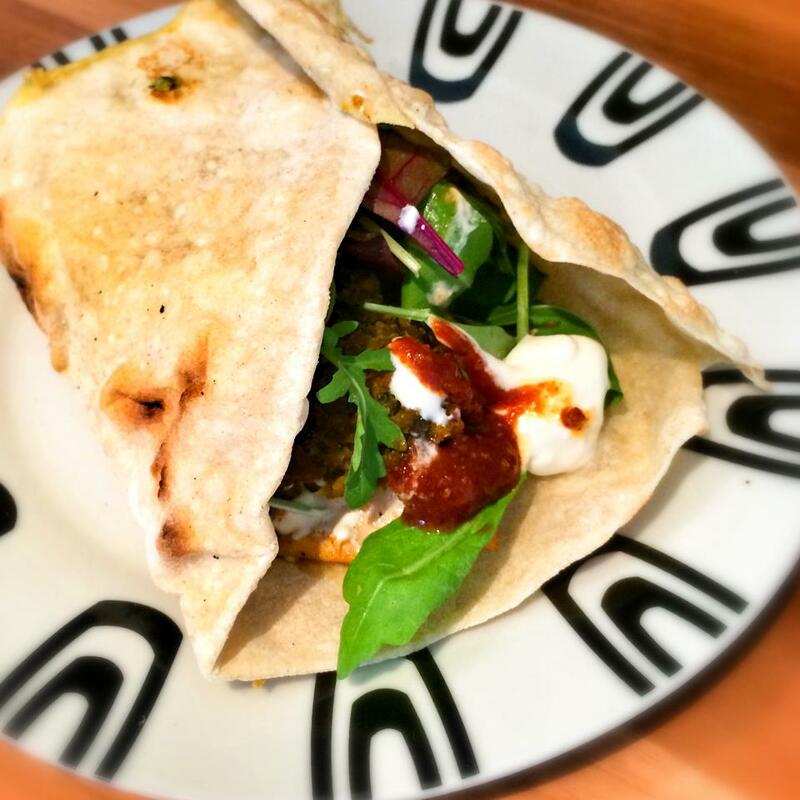 Having made my amazing Falfel’s originally to go in my salads through the week, once I tasted them and realised how amazing they were, I decided to knock up an evening meal to get the best possible use out of them! Having already roasted a chicken for the week ahead I decided to go with the Moroccan theme and make myself a chicken falafel wrap. After a bit of experimentation it resulted in the below which I have to say tasted absolutely incredible. For 14sp you get two lovely wraps which feel really substantial on your plate. Even my OH, who usually likes extra carbs with his meal, was raving about this recipe. There are so many delicious flavours bursting onto your taste buds so it’s thoroughly satisfying! If you wanted to bulk up this meal even more you could add a full side salad and some cous cous or even some roasted harissa butternut squash chips, but I don’t think it’s necessary, the wrap is really filling as it is. To make your wrap, pop all your ingredients into a large bowl, mix and then, adding a few drops of water at a time, bind the mixture together until you have a firm dough. Knead a little until smooth and then separate into four evenly sized balls. Dust you work surface with flour and using a rolling pin, roll out each ball into a thin wrap (the thinner the better so it stays nice and pliable). Pop into a dry, hot frying pan for around 2 minutes on each side (or until the side starts to brown a little). Once cooked, pop onto a plate and move onto the next. I make these separately and them give them a minute in the microwave before I construct my wraps just to simplify things. Next pop your chicken, Ras el Hanout and lemon in a frying pan and fry until piping hot. Warm up your falafels in the microwave for 30 seconds if you like them hot. You are now ready to assemble your wrap. You can either display the ingredients in a ‘tear and share’ style and let other people wrap as they please or you can construct the wrap for them but either way I build it as follows: Wrap on the bottom, top with ¼ of the small tub of houmous, then salad leaves, squeeze of lemon, then the chicken, then falafel, then yoghurt with harissa and even a drizzle of mint if you fancy. Wrap together, secure with a cocktail stick and slice in half if you fancy.